In spite of the controversy, it cannot be denied that Torrent is one of the most popular technologies available online. Torrents have changed the way we share files, as it makes peer- to -peer transfer easy. Torrent downloads are also faster and more efficient that HTTP downloads. While the reality is that its mainly used to share copyrighted content, Torrent can be a very useful tool for sharing files with family and friends, accessing documents from online storage services or download free distribution software. Using Torrent requires the installation of specialized torrent client or software in your computer – or Android mobile device – to ensure that you can enjoy a good download speed. It is important to choose a torrent that offers compatibility with your operating system and good quality of service. The torrents in our list are the best free P2P file sharing programs that work with BitTorrent protocol. They do not only offer great features and performance but also work with the main Operating Systems like Windows, Linux and Mac. Here are the top choices you can go for. The qBittorrent is a free software with an interface that resembles µtorrent. In fact the qBittorrent project aims to be an improved version of µtorrent in its free version, as it offers a better looking interface and an accurate search engine, which can scan the main BitTorrent sites at the same time. qBitTorrent is ideal for creating torrent files and it supports all Bittorrent extensions. It is a great option for those who are mainly interested in downloading files, without accessing displays or download graphics. It is free to download but since it is run by volunteers, if you like qBittorrent you may donate to keep the project going. It works with Mac OS X, Windows and Linux, as well as OS/2 and FreeBSD. Vuze stands out from other Bittorrent clients for offering more than the core finding and downloading functions. Vuze, also had an integrated HD player that lets you to watch media files on iDevices, game consoles or android tablets/ phones. You can integrate the program with iTunes and convert videos as well. Even though it offers a complete solution, it is light, meaning that you won’t experience slowdown while using it and it has an interface that is easy to navigate. Vuze is free to download but there us also a paid version that costs $28.90. It has anti-virus included and allows DVD burning. Tixati is widely used and it is known for its impressive speed and versatile bandwidth throttling system. Its interface is quite simple and easy to use and the best part for many is that it is free from annoying ads. The fact that Tixati is an uncomplicated torrent client, does not mean that it does not offer advanced features such as IP filtering, scheduling, Magnet Link Support, RSS, high security through its RC4 encryption and many more. One of the highlights is that you get detailed information about the bandwidth, files and all details of the downloading. Tixati has dedicated versions for Linux and Windows and it is completely free. ABC is a bittorrent peer-to-peer file sharing solution that offers essential features such as priority queueing, multiple downloads in the same window and the ability to manage uploading/downloading options. You can also pause, stop or remove torrents at any time. The interface is straightforward and the downloads are fast. You can customize the display to show data such as stats, seeds and trackers. 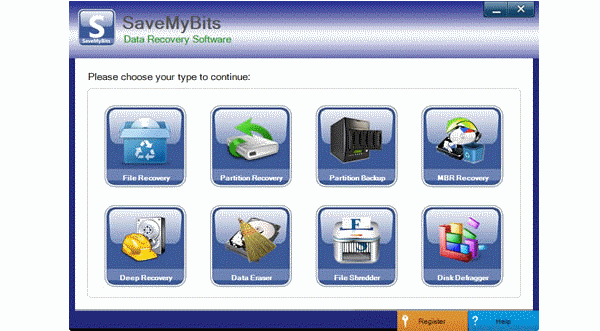 It is a good and easy to use option for Windows and Linux users can get a Beta version. Deluge is a lightweight and complete Bittorrent client that is compatible with Windows, OS X, Linux and Unix. It works with libtorrent and it offers features like RSS via plugin, BitTorrent Protocol Encryption , mainline DHT, support of proxy, private torrents and password protection. Deluge may suit better advanced users as it has complex features and an interface that may take longer for a new user to manage. BitComet is an adware and spyware free torrent downloading option that offers a user-friendly interface and many useful features. With BitTorrent you can enjoy options like long-term seeding, which allows you to speed up downloads and boost inactive torrents. It is also possible to share torrents while you are downloading, preview files during the downloading process and choosing priority of files in torrent to determine which one you want to be completed first. Transmission works with a variety of operating systems but this BtTorrent client stands apart for its seamless performance with Mac OS X. Transmission is open source, the interface is convenient and the downloads are fast. Since the software is lightweight, it won’t use up all the computer’s resources. Transmission is reliable and it includes advanced features like DHT, encryption, peer exchange and magnet links support. The team of volunteers behind Transmission are passionate about offering an easy solution that users can trust.